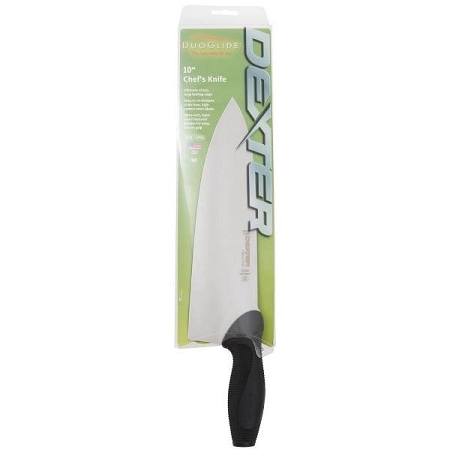 The DuoGlide 10 Inch Cook's Knife is a large handle professional knife helpful for people with arthritis. 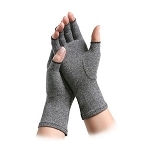 The ultra-soft, right-sized textured handle is comfortable to grip securely, with less stress and discomfort on the user's hands. 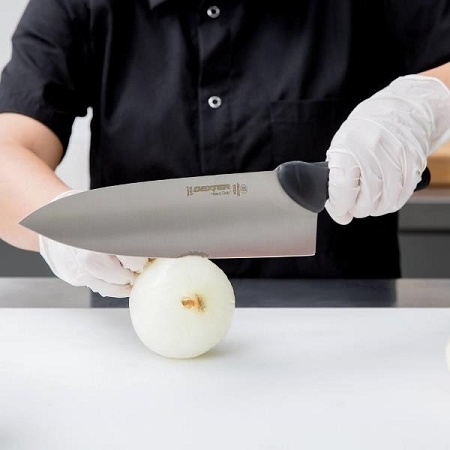 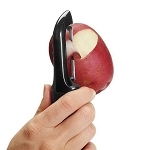 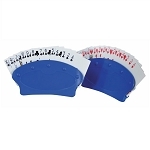 The curved blade allows users to easily slice, dice, mince, and chop in a smooth rocking motion to cut evenly and rapidly. 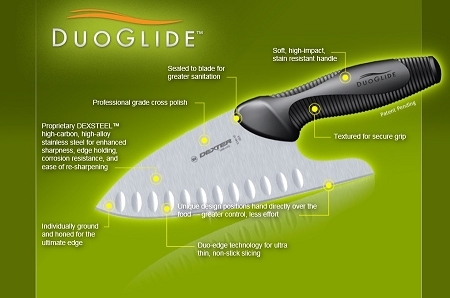 The DuoGlide Cook's Knife combines the ultra-comfortable DuoGlide® handle with the ultimate sharp Dexter edge. 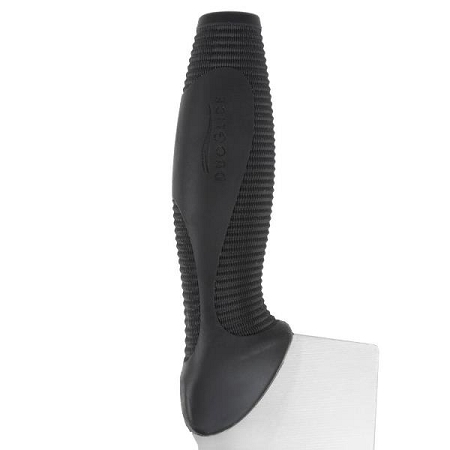 The high-carbon, stainless steel blade is individually ground and honed for the ultimate edge, corrosion resistant, and features a professional grade cross polish. 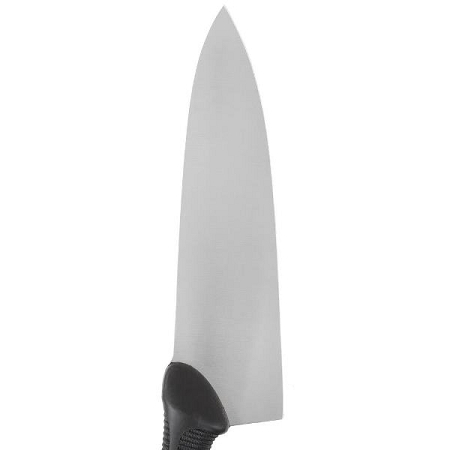 The soft, right sized handle is textured for a secure grip, plus stain-resistant and sealed to the blade for better quality and sanitation. 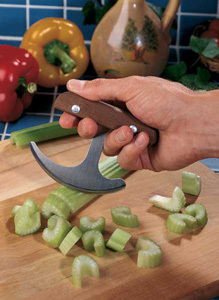 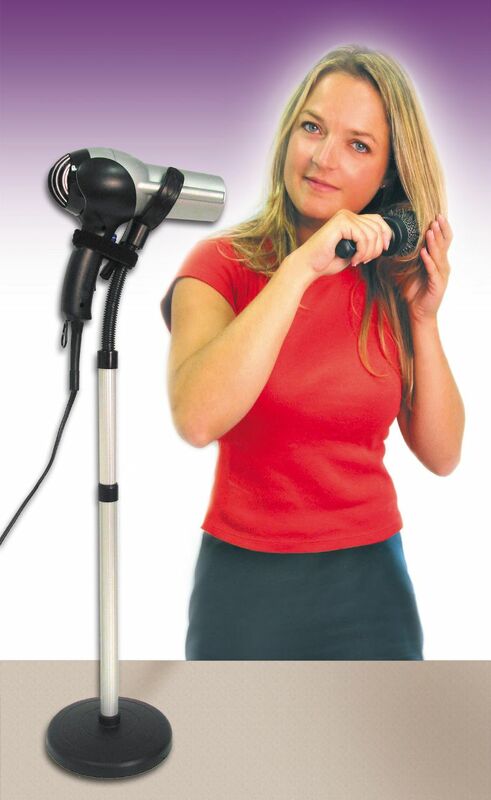 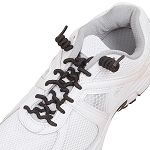 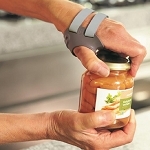 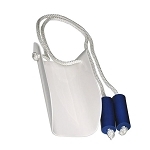 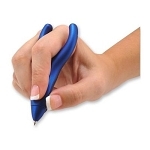 The handle is designed with a deep choil to protect knuckles during use. 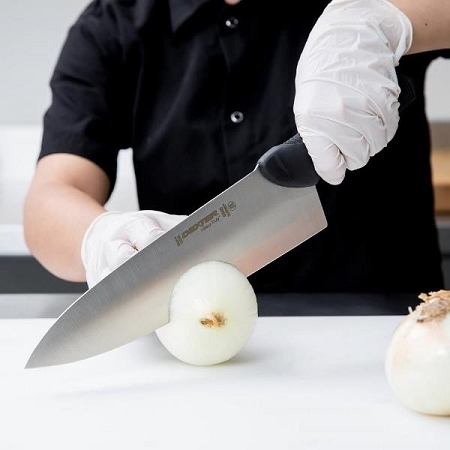 The DuoGlide Cook's Knife is an essential kitchen knife for slicing, dicing, mincing, and chopping vegetables, fruit, and meat. 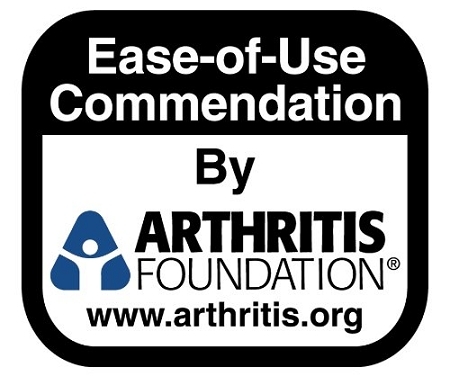 The DuoGlide Cook's Knife has been endorsed by the Arthritis Foundation Ease of Use commendation. 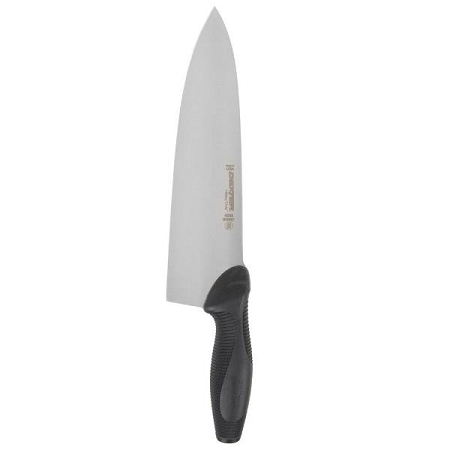 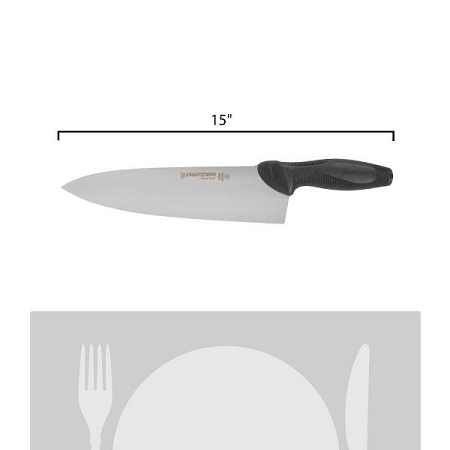 Overall Dimensions: 10 inch blade, 5 inch handle, 15 inches overall. 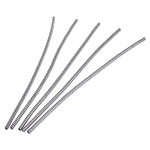 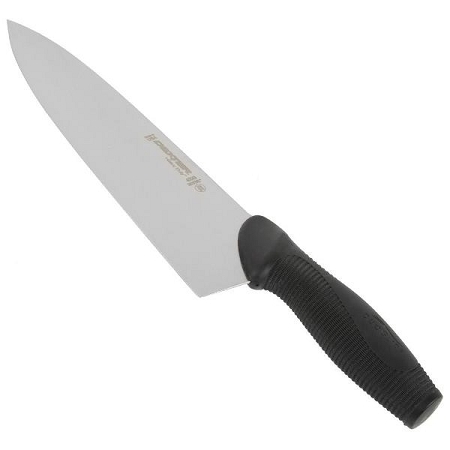 Blade: High-carbon, stainless steel blade individually ground and honed with straight edge.